Happy Friday! I may not be in Miami anymore, but that hasn’t stopped me from pretending I’m on spring break! Austin had amazing weather earlier this week, so my mom and I happily laid by the pool enjoying the sunshine. This coral-print maillot is one I picked up for my Miami trip. It’s flattering, comfortable and cute for any age. This style also now comes in a gorgeous red & white floral print very similar to this dress I posted on Instagram earlier this week! Looking for something with a little more coverage? This Marysia Swim one-piece is a winner. The scallop detail is so fresh and fun! For the girl who loves black… try this stunning black suit by Mara Hoffmann. I’m obsessed with the knot detail! If you’re willing to splurge and you want something chic and modern, this Proenza Schouler suit may be just the ticket. Gimme! 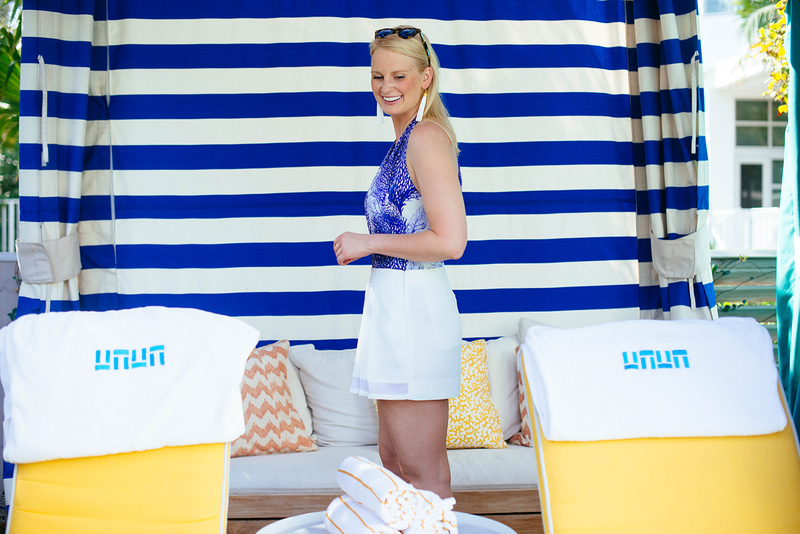 Tory Burch does maillots like no other designer. Beautiful prints and flattering silhouettes make for happy swimwear shoppers, am I right? This season I’m all about this mosaic maillot. The cross-over style and full-seated bottom make this colorful printed suit a winner in my book. this bathing suit is gorgeous on you. Gorgeous! Blue suits you well! 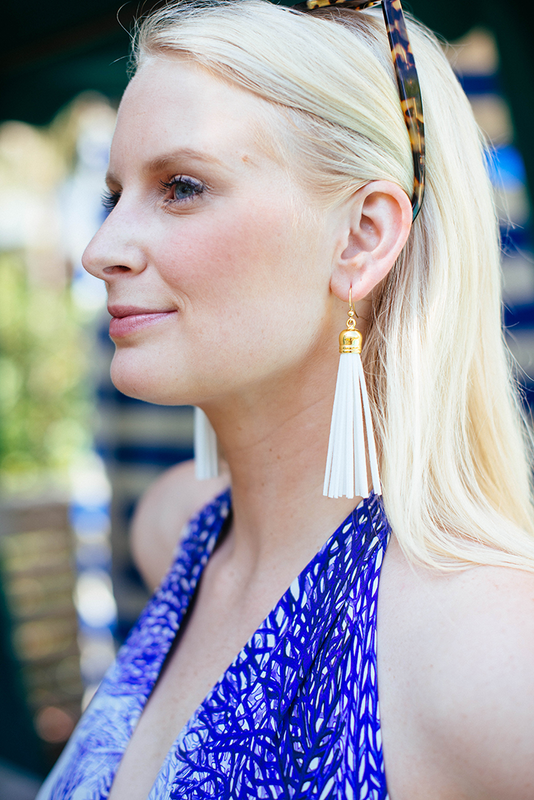 You look beautiful, obsessed with the white tassel earrings! Love this pretty blue maillot! And that white skort is perfect with it! I’m also coveting that Tory Burch mosaic version….soooo flattering! Lovely swimsuit! I adore your earrings!